One Eternal Day: A Bible for Christmas? .... 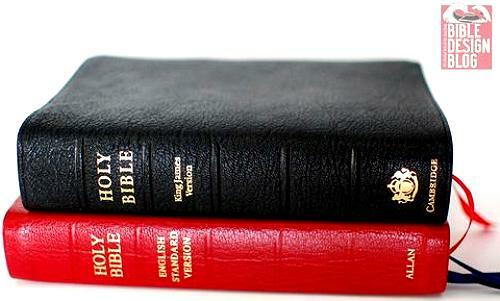 While most of my readers buy their own Bibles, let’s face it: The best way to receive one is as a gift. If you want to give a Bible as a gift this Christmas season, here are some recommendations. Over the past year or so, I’ve found myself recommending the Cambridge Clarion more than any other Bible. For readers, the Clarion offers an elegant single-column layout—in other words, it’s formatted more like a novel than a dictionary, which is what Bibles have looked like for centuries. One way to encourage Bible reading is to make the Bible resemble the kind of book people actually read. The Clarion’s overall dimensions resemble those of a thick trade paperback, so while the book has a little heft, it’s handy enough to carry around. Bertrand expands on each of his recommendations. One can't top wrong with a Bible. Unless of course, they use it as a lawnmower assembly manual to fix their lives. Found this article very helpful I will be passing on to others. Like the single column concept.